LAS VEGAS, June 16, 2008 - Demonstrating the power and ease of installation of Hitachi LCD projectors, Sound Hill Technologies of Holden, Louisiana, recently designed and installed the audio/video system at the Lake Grove Missionary Baptist Church in Memphis, Tennessee. Located in the shadow of St. Jude's Children's Hospital and Memphis University in the downtown area of the city, Lake Grove holds congregations of up to 877 people. Sound Hill Technologies is a full-service audio, visual, lighting and multimedia company that designs and installs custom-built packages for a variety of environments. The company's plans are custom created by a wide group of architects to insure top quality system design and placement. Due to the high-energy services offered at Lake Grove Missionary Baptist Church, Sound Hill Technologies needed to provide a vibrant, dynamic video element to the church's audio/video system. To that end, Sound Hill installed a Hitachi CP-X1250 LCD projector in the main worship space, projecting onto a Da-Lite Cinema Vision screen. 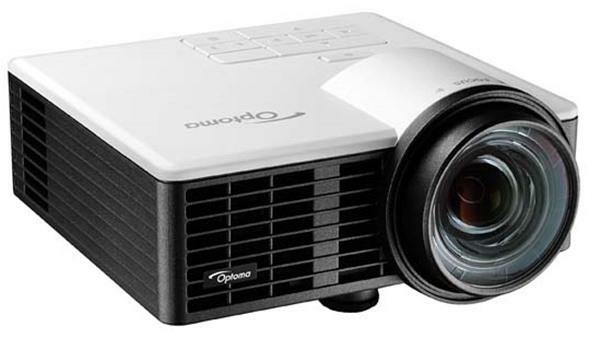 The Hitachi CP-X1250 projector offers a brightness of 4,500 lumens and features interchangeable, bayonet-style lenses for different throw distances. "Lake Grove often utilizes the long-throw lens on the CP-X1250 for its worship services," said Tim Hill, co-owner, Sound Hill Technologies. An overflow seating area outside the main sanctuary features a Hitachi CP-X400, 3,200-lumen projector, displaying video on a Da-Lite screen. "We have found Hitachi projectors to be the most precise in the industry," Hill added. "When projectors are put side by side, there's no variance between them; this is not the case with other brands. Hitachi projectors have been workhorses for us. We have installed several dozen Hitachi projectors and have never experienced any problems."